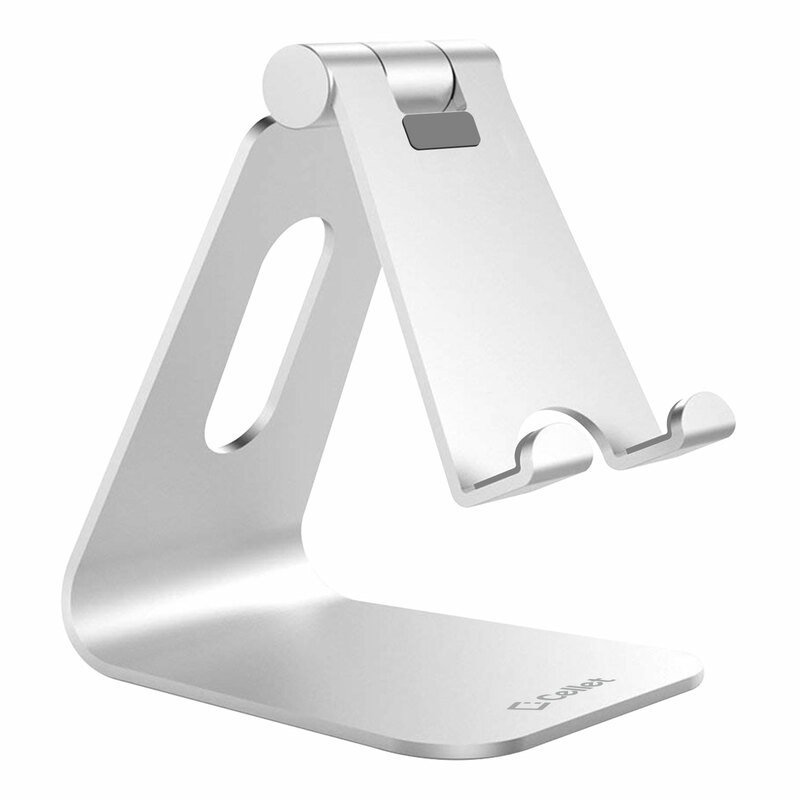 Mount your Motorola Moto Z3 Play onto your desk or any flat surface at home with the Adjustable Aluminum Stand. 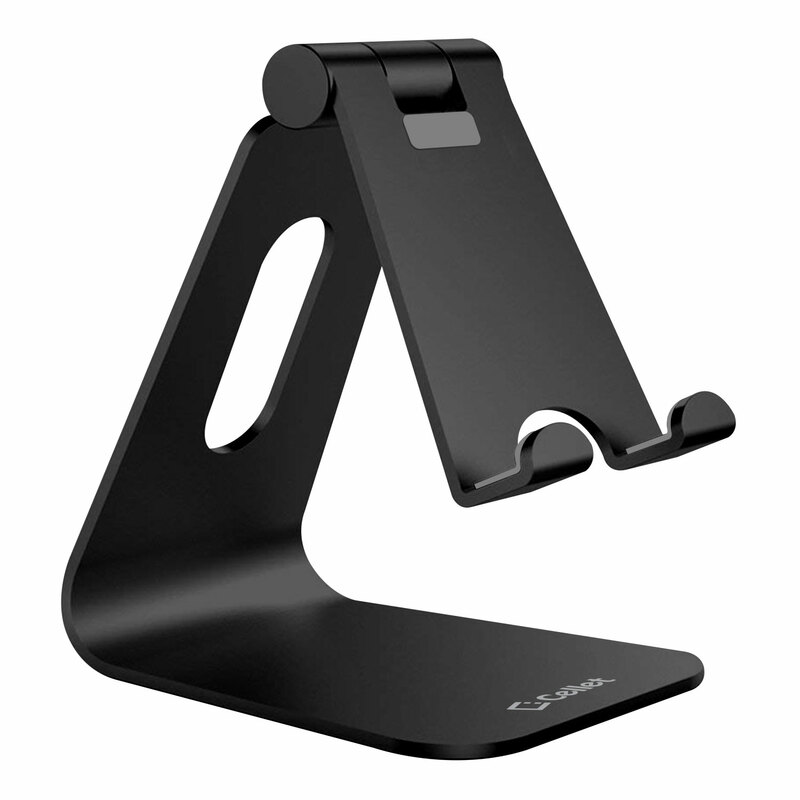 Slim and lightweight, this mount can be folded to make it easier to store and easy to carry when traveling. 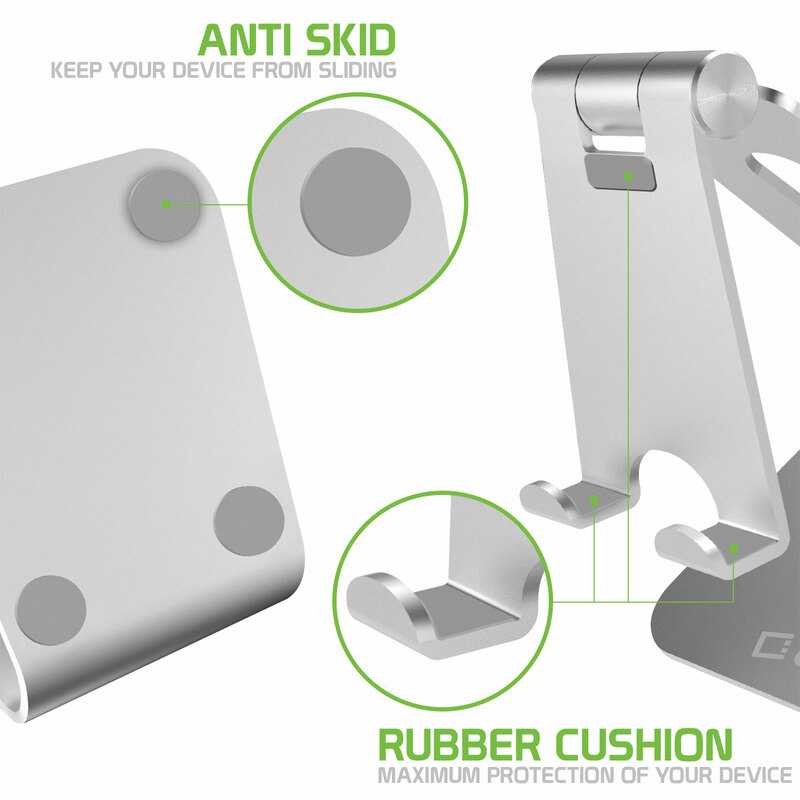 Equipped with anti-slip rubberized and soft holder grips, it ensures a secure hold onto your device. 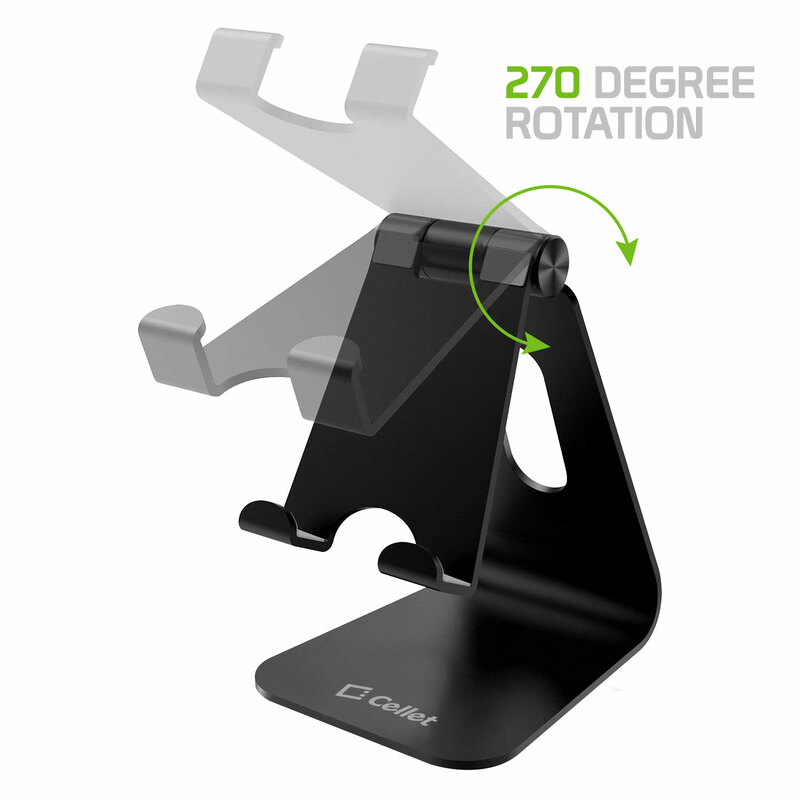 The 270 degree rotation capability allows you to view your device in any desired position. 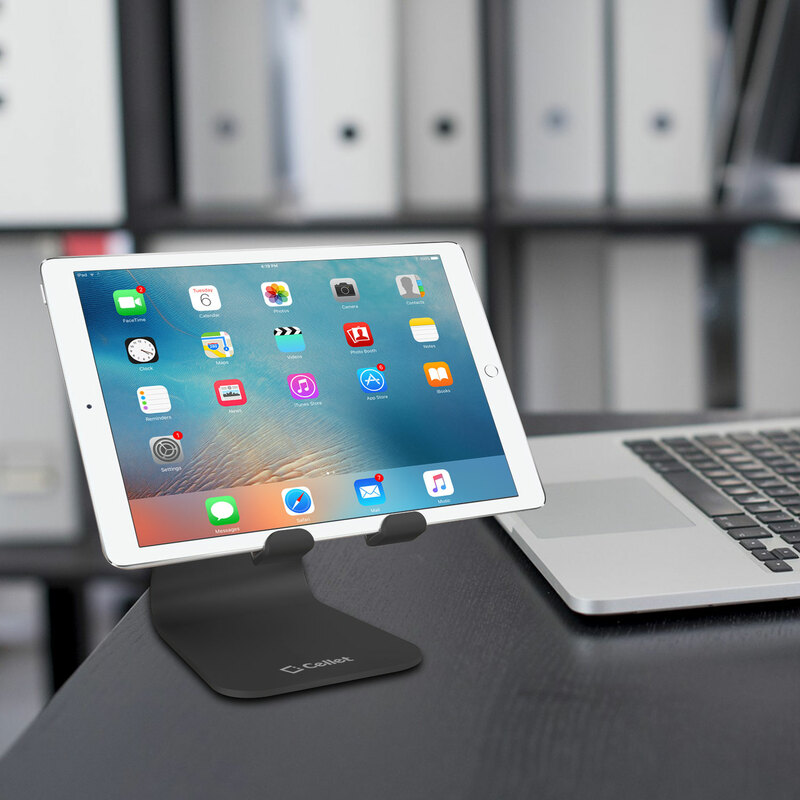 The base is equipped with non-slip rubberized grips to make sure the stand stays in place. 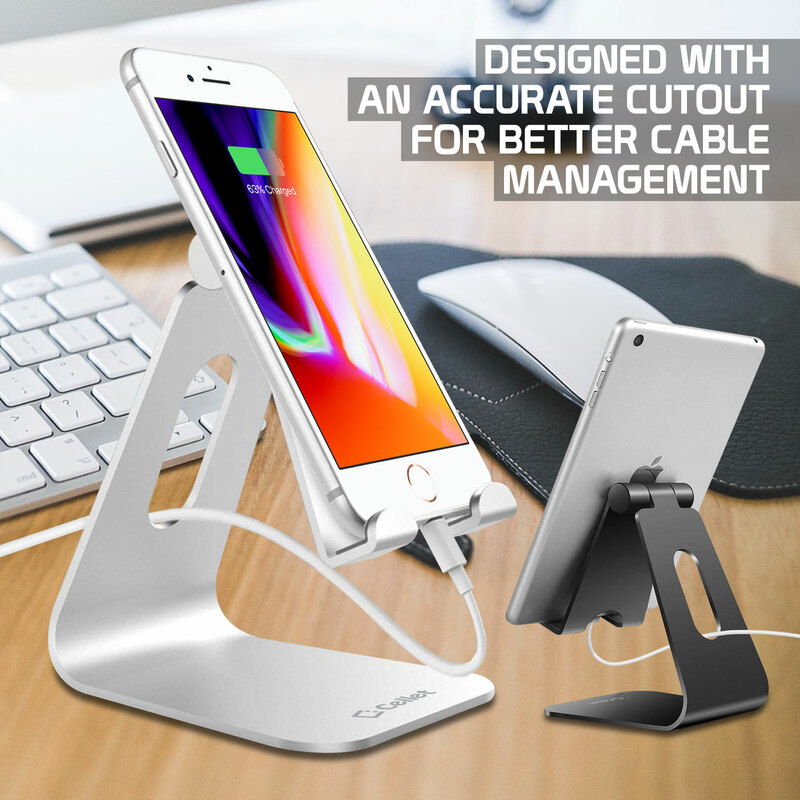 An accurate cutout was added for your Motorola Moto Z3 Play charging cable to maintain a neat and tangle free environment.